Buying used truck parts can save you a lot of money on repairs and improvements. Sometimes up to as much as 80% over new truck parts. Oftentimes the dealerships may not have a ready supply of new parts available for older trucks, or the parts may be obsolete altogether. Furthermore, for those wanting make a positive impact on the environment, its notable that purchasing recycled parts from responsible and reputable salvage yards contributes immensely to that cause. Increasingly, individuals and corporations are joining the “green” revolution! 1. Part numbers: If you know the part number of a part you need, write it down and contact your used truck parts specialist. Every single mechanical element of a truck will have its own part number. This number will save you and the seller valuable time. 2. Tag numbers: Most used truck parts facilities create unique reference numbers during the inventory process. They might be called reference numbers—but more commonly—stock numbers or tag numbers. If you find a part on a website, make a note of this ID number to help the facility find that part in their system quickly and efficiently. 3. Take a picture of the part: If you are unable to find the part number for your part, take a picture of it to show to your parts seller. Most professional salvage yards will be up to speed and have email, and will sometimes work with texting via cell phones. While the picture doesn’t tell the whole story, it will enable the seller to find similar components and, hopefully, the right one. 4. Visit your seller’s physical location: Most websites don’t list all their products. This is especially common for salvage yards where much of their sellable inventory is not inventoried, for practical reasons. Whenever possible, it’s always best to visit your part supplier’s site in person and talk to them directly about your part. If you’re unable to visit them physically, give them a call! Some companies, like Active Truck Parts, go as far as making a goal to get back to you within 60 minutes with availability and pricing. 5. Request photos when shopping: Online marketplaces are helpful resources when it comes to buying used truck parts. Sites like truckpartsinventory.com and heavydutytruckparts.com give the customer the ability to look through multiple vendors’ inventories, including photos, prices, details, all at one time. These sites are a great way to weigh all options quickly. Many of the vendors posting on these sites will have photos for most of their parts. If they don’t have photos, call and ask for them! Photos can provide clarity concerning the part’s condition and in making sure its correct. Be wary of online vendors not providing photos either on the website or when requested. How long was the truck part in use? What vehicle was the part previously used on? 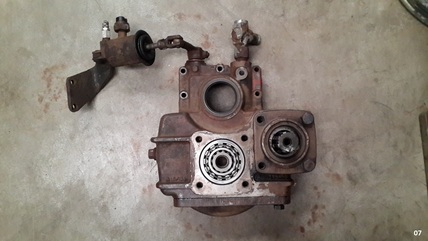 What is the part’s condition? Is the part refurbished in any way? Was the part installed on vehicles that were used for rough terrain, industrial work or long commutes? How can we make sure it’s the correct part? Is there anything I need to do before installing this part? ​7. 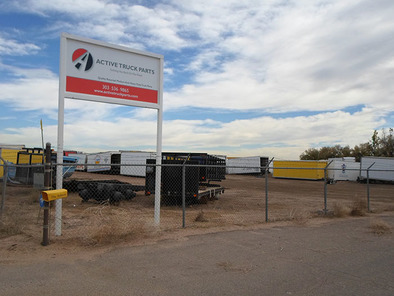 Large inventory: The more trucks and parts the seller has in stock, the greater the chance they’ll have your part. These facilities tend to be more organized by necessity, and will likely have a great deal of information and knowledge available within reach of their desks. 8. Look for a warranty: You may want to look for parts that come with warranties. 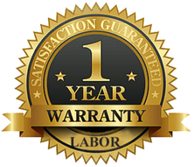 These are usually short-term warranties, but they can provide some peace of mind and can give you time to make sure that the part works. For example, a condition might be that the part must be professionally installed. Make sure to read the warranty’s fine print! Many times they’ll show up on the back or front of an invoice. Get the right information from you, to make sure they get you the right part. Find your part for you, if they don’t have it in stock. Many yards have connections all around the country. Provide you with shipping options. This includes expedited options on ground carriers like UPS and FedEx, and Freight trucks as well. You’re set! With these tips you can now locate and buy the correct part, from a pro, in a timely manner, with a warranty, and get back to work!